Islamabad has asked India to stop dragging Pakistan into its electoral debate. Pakistan Foreign Ministry spokesperson Dr. Mohammad Faisal on 11 December tweeted that "India should stop dragging Pakistan into its electoral debate and win victories on own strength rather than fabricated conspiracies, which are utterly baseless and irresponsible." While addressing an election rally in Palanpur in Banaskantha, Prime Minister Narendra Modi on Sunday had said that Pakistan is trying to fix Gujarat polls to defeat the Bharatiya Janata Party (BJP). 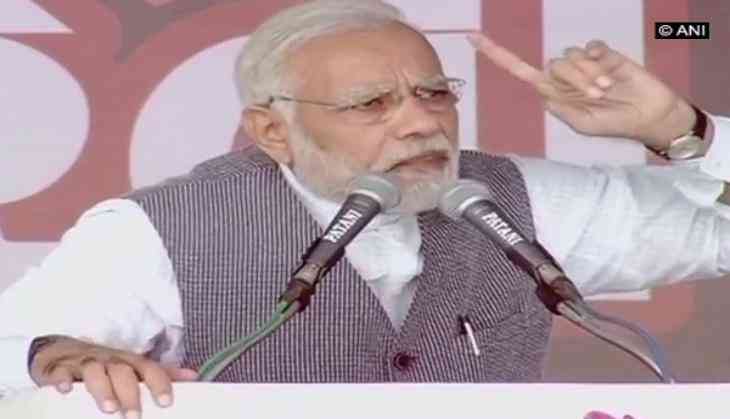 "Former Pakistan Army Director General Arshad Rafique was backing and was willing to help make Ahmed Patel the chief minister," Prime Minister Modi had said at an election rally. Accusing his predecessor, Dr. Manmohan Singh, of colluding with Pakistani officials in a 'secret' meeting, Prime Minister Modi had said, "Have you read about Mani Shankar Aiyar? Didn't they insult me and people of Gujarat? Now news is that Pakistan High Commissioner and foreign minister and Manmohan Singh met at his house just before the Gujarat polls. This is a serious issue that I want to ask. What is the reason for secret meeting with Pakistanis?" The political parties have started campaigning for the second phase of Gujarat assembly, which is scheduled to be held on Thursday.